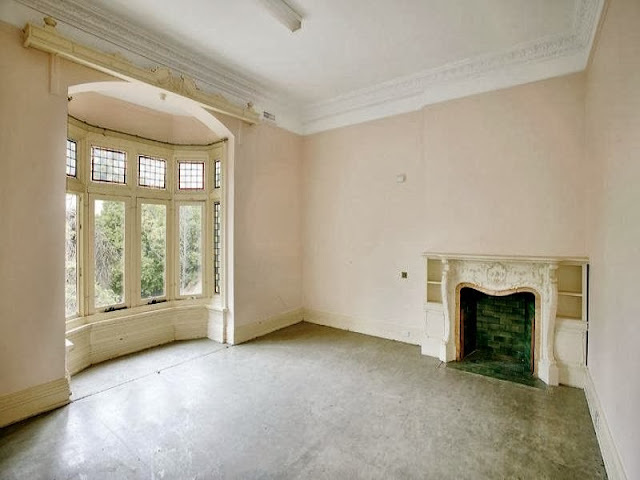 Abandoned in 1996, Armadale’s Redcourt now has price hopes of more than $10 million plus. Mystery: With expansive gardens and intriguing features, the restored Queen Anne-style mansion is a place of sheer beauty. 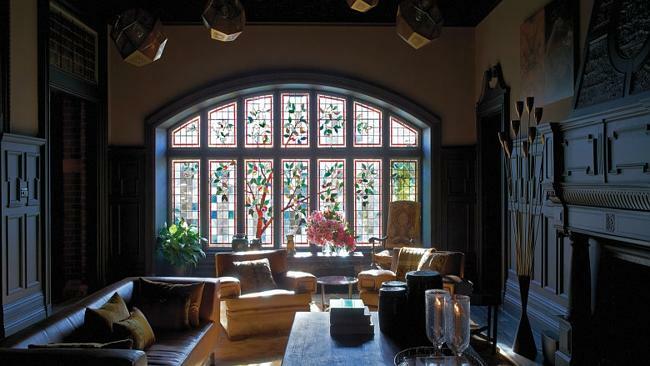 A landmark manor with a celebrity-name renovation is thought to have sold for more than $10 million. 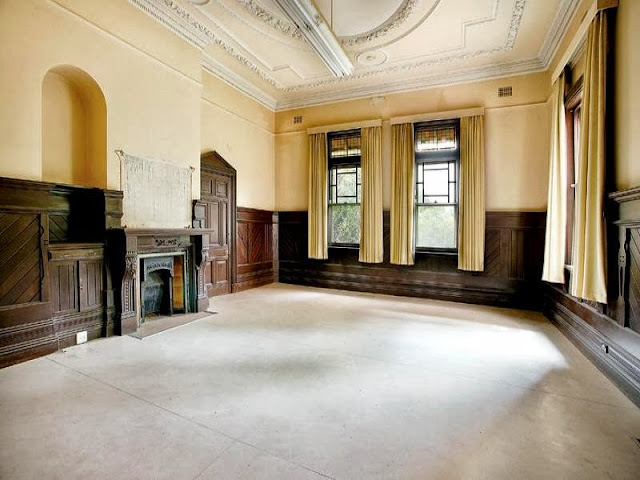 Young entrepreneur Adam Garrison, who – among other ventures – rescues old buildings from demolition, is believed to have offloaded Armadale’s landmark Redcourt mansion. 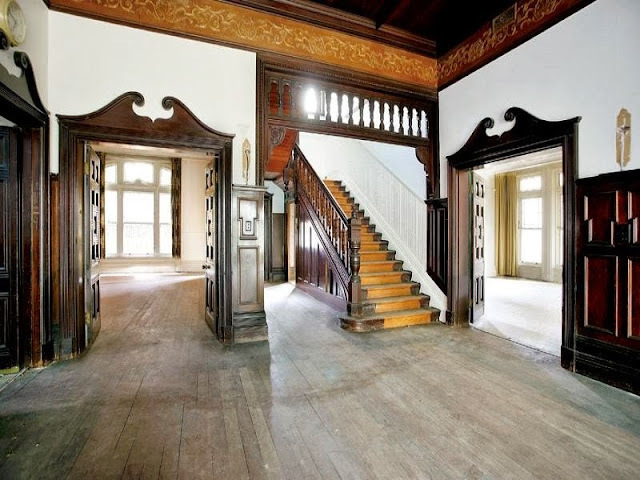 The media-shy businessman bought the Orrong Road property from the state government in 2009, before undertaking a four-year restoration of the 127-year old Queen Anne manor and its substantial 3500 square metre grounds. Developed by glass and timber merchant Edward Yencken, the 14-bedroom red-brick mansion was occupied as a student rooming house before falling into disrepair and being abandoned in the mid 1990s. Vue du Monde chef Shannon Bennett, who designed the kitchen renovation at Redcourt. 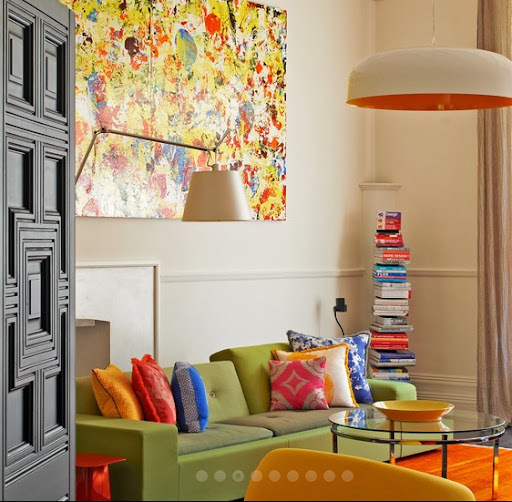 Garrison’s high-end renovation employed fashion designer Akira Isogawa to refit what was a music room and artist David Bromley to redesign the children’s room. 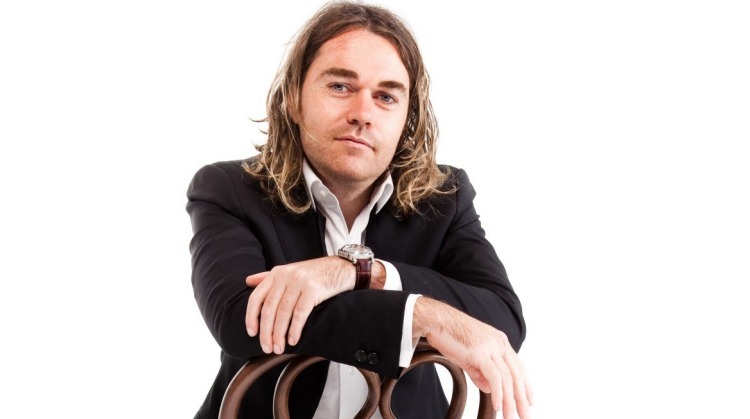 Shannon Bennett – Garrison’s friend and a business partner for another venture – designed Redcourt’s kitchen. Property industry insiders whisper that Redcourt has sold for a speculated price of above $10 million, earlier this year, but neither a transaction nor figure could be confirmed with Kay & Burton’s Gerald Delany and Ross Savas, who declined to comment on any aspect of the campaign. “Redcourt”, developer Adam Garrison’s refurbished 19th century homestead, is again up for sale. The property at 506 Orrong Rd, Armadale, was listed in October last year but didn’t sell. 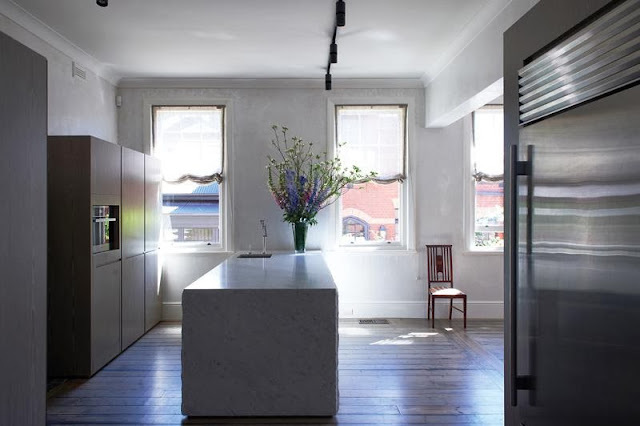 Mr Garrisson purchased the property in a derelict state in 2009 and undertook a four-year renovation project featuring work from fashion designer Akira Isogawa and chef Shannon Bennett. The main house includes a suite of specialist spaces, from an art room to a meat and cheese room — along with more common luxury features such as a gym, steam room and cellar. A separate coach house with own its kitchen, living areas and bedroom is nearby and the grounds include a manicured croquet lawn. 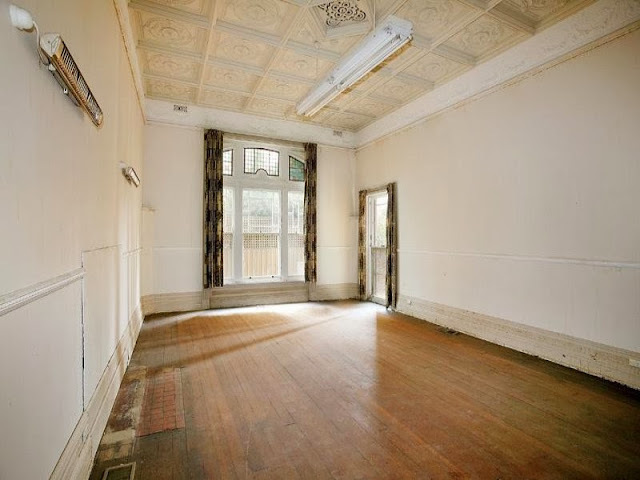 Kay & Burton, South Yarra, has listed the grand seven-bedroom property. 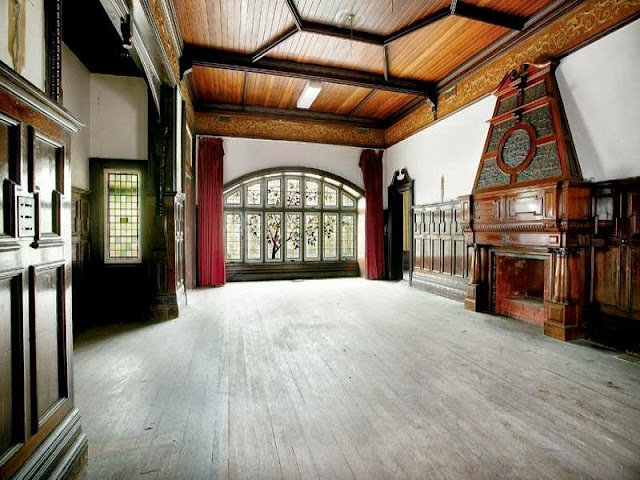 This property, called ‘Redcourt’, is a seven-bedroom, eight-bathroom home circa 1888. On 3,500 square metres, including a croquet lawn, organic vegetable gardens and ‘secret’ walks, the photos are heavily artistic – in partciular the all-white room. With a kitchen designed by chef Shannon Bennett (of Vue De Monde fame), a bar room, a wine room, a cellar, a preserves room and a meat and cheese room, it’s certainly a foodies dream. It also has a flower and art room, a gym and a steam room. A second residence, The Coach House, is included with potential guest house usage. “Located at 506 Orrong Road, Armadale, ‘Redcourt’ (c.1888) is a sanctuary set in beautiful grounds of around 3,500 sqm (38,000 sqft) which include ‘The Green’, a former north south tennis court now croquet lawn, Organic vegetable gardens and secret walks. 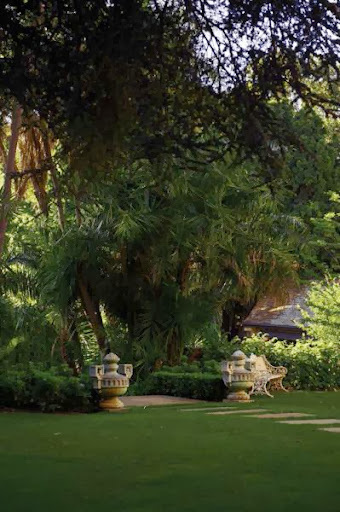 The residence has been superbly restored by a unique team of artists and craftspeople to a level rarely seen, creating a sense of calm and tranquillity. “The House consists of several graceful and outstanding reception, entertaining and living rooms, numerous bedroom suites, expansive and superbly appointed Kitchen designed by renowned chef Shannon Bennett, a bar room, a flower and art room, a gymnasium, a steam room, wine room and cellar, preserves room and meat and cheese room. Redcourt was built in 1888, and was in a state of abject neglect when Garrison bought it from the government in 2009. Picture: Earl Carter/Vogue Living. The owner, entrepreneur Adam Garrisson, bought the Queen Anne-style mansion in 2009 in a derelict condition from the state government for considerably less than the original 2008 $8 million asking price, but industry sources said he’d spent more than double what he paid on restorations. 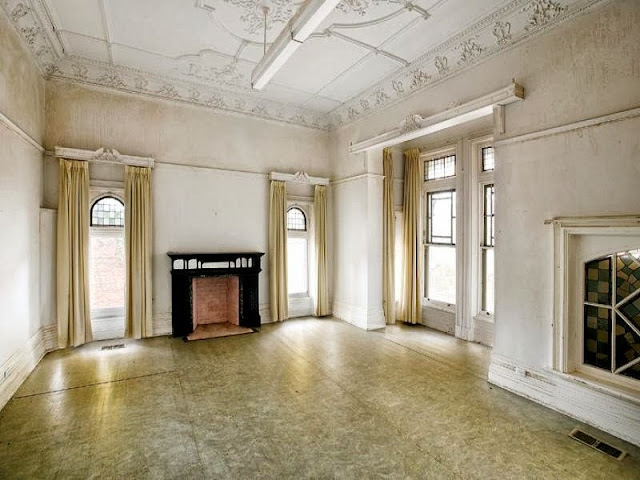 The heritage-listed 3497-square-metre property had been a residence for art and music students in the 1950s, but was abandoned in 1996. Vandals damaged several rooms. 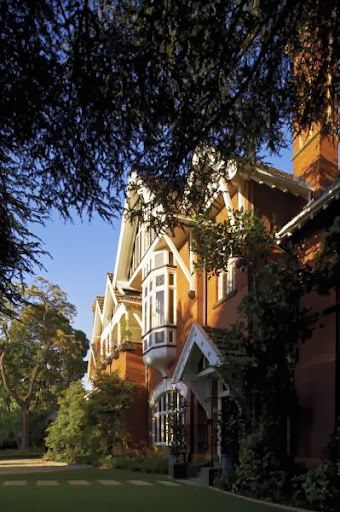 Redcourt was built in 1888 by the glass and timber merchant Edward Yencken and is one of Melbourne’s most prestigious houses. PROPERTY INVESTOR Adam Garrison is believed to be the mystery buyer of a 14-bedroom “renovation rescue” in Armadale. 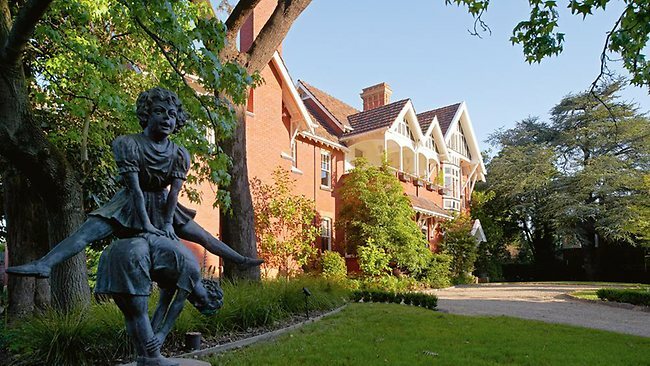 The co-founder of charitable restaurant Fifteen Melbourne – and until recently the part owner in Spring Street’s iconic Windsor Hotel – plans to fully restore the heritage listed Redcourt mansion on Orrong Road into a family home, a move which some speculate could cost more than $2 million. 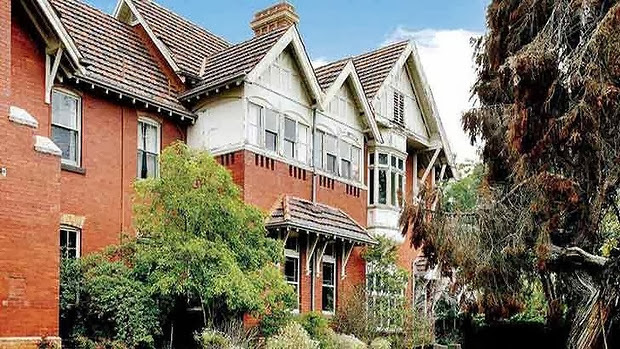 Mr Garrison, who could not be contacted, is understood to have paid about $3.9 million for the Redcourt estate in April, far less than the approximate $8 million vendor the Victorian Government had anticipated when it listed the Queen Anne style mansion for sale last year. 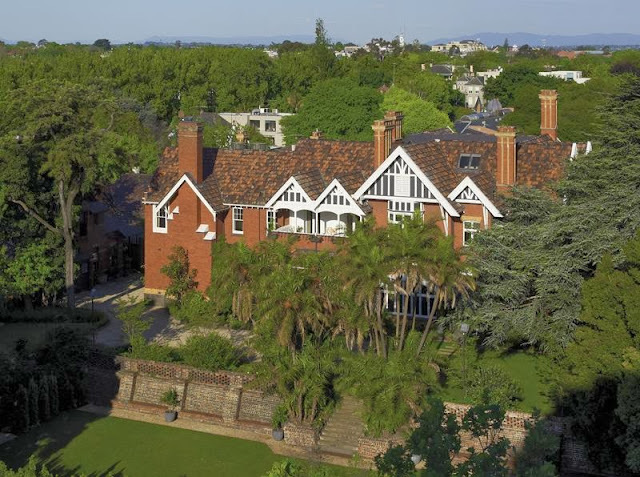 Sitting on a 3,497 square metre block with a tennis court, servants quarters, coach house and pavilion, all of which are rundown, the 121-year old heritage protected Redcourt home includes a grand hall, dining room, billiard room, library, drawing room and attic, all of manor style proportions. Bennison Mackinnon marketing agent Andrew Macmillan was unavailable for comment. This distinctive mansion is located in Orrong Road, Armadale and has only come to my attention because it is currently up for sale. Oddly enough I have been unable to locate any photographs of the property beyond those provided with regard to the forthcoming auction; it seems difficult to believe that no one took any photographs of this beautiful house – if anyone is able to locate some I’d love to see them. Recourt dates to 1887-1888, architects being Reed, Henderson & Smart. It was originally erected for a E.L.Yencken, then subsequently changed hands a number of times until agent T.Burke acquired the property in around 1930 and subdivided the grounds to create Redcourt Avenue. Later still it was run as Redcourt guesthouse and at some stage a hostel. The shots of the beautiful and apprently intact interiors are evidence of a grand mansion which has fortunately survived. Hopefully it will be purchased and restored to its full glory. Developers were proposing to covert it into 28 bedsits. artist David Bromley for a children’s bedroom and some sculptures. John Warwicker, of the British design collective Tomato, was responsible for the art. It comes complete with tennis court, servants’ quarters coach house and pavilion. ”It’s an extraordinary property in every way,” says Ross Savas, a director at Kay & Burton in South Yarra. Agent Ross Savas, Kay & Burton, 03 9820 1111. 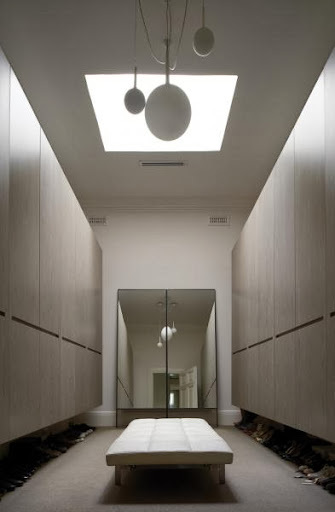 Adam Garrisson’s unwavering attention to detail is everywhere in the Melbourne home he restored from ruin. 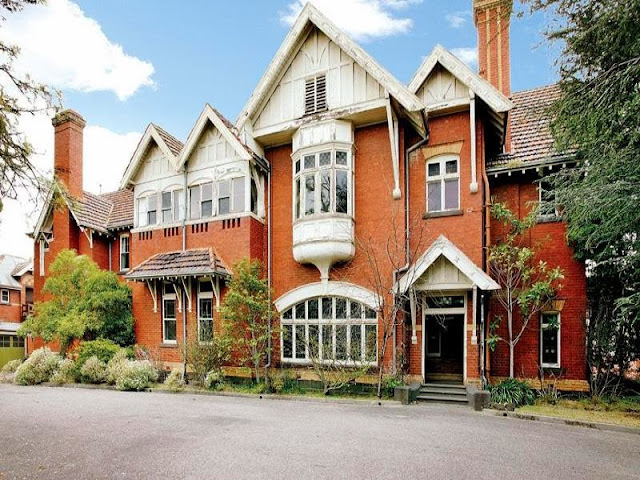 Redcourt is an 1888 Queen Anne-style mansion in Armadale, designed for a glass and timber merchant and later owned by prominent Melbourne families. It was converted to a guesthouse in the 1930s, but left to rot since 1996. An application to turn the home into apartments was rejected and it was put on the market in 2008. The sale generated plenty of interest but few were game to take on a home so large and overgrown. Furniture, sourced internationally, had to work with the home or it was sent back. Garrisson, a businessman who redeveloped Melbourne’s landmark GPO into an upmarket shopping destination, baulked at first. But he bought it and, instead of handing control of the restoration to a designer or architect, he project-managed the property’s resurrection himself. It was the tougher, but more enjoyable, option. To start with, the home had 14 bedrooms and a coach house that was unsafe to enter. If profit was Garrisson’s main motivator, 60 apartments would now be on the Redcourt site. Instead he has merged different design eras and themes to create an astounding home that is now for sale. A Danish sofa, Louis chair and an opium table sit comfortably together after their owner worked to blend statement pieces harmoniously. Furniture, sourced internationally, had to work with the home or it was sent back. Contractors left the project throughout the process, which Garrisson says left him with the most able and enthusiastic team. He was uncompromising on his dream for the house. Every “no” and “impossible” he was given was an opportunity to set a higher benchmark. Garrisson worked with the founder of London creative studio Tomato, Professor John Warwicker, to create the vision for the home. Renowned fashion designer Akira Isogawa created bespoke fabrics for the music room, which he based on the feel of a Bedouin tent. Artist David Bromley created the children’s room, painting Enid Blyton-esque images on its walls. 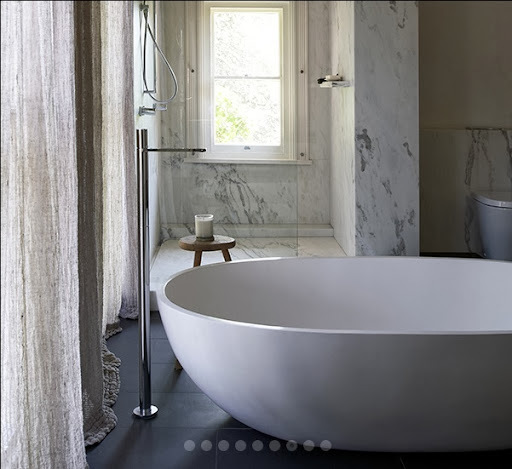 While the room and attached ensuite harks back to the ’40s and ’50s, a minimalist Apaiser bathtub somehow works with its surrounds. In the dining room, the 16-seat square table was made from old Melbourne Cricket Ground chairs, their numbering dotted in white into the dark wood. Once the private dining table at Vue du Monde, it needed 10 sets of hands to carry it in two halves. Vue du Monde chef Shannon Bennett is a close friend of Garrisson and consulted on the kitchen. The restaurant’s head sommelier advised on the cellar contents. Redcourt diners are handed a leather-bound menu that has been embossed with a ‘RC’ Redcourt logo which Garrisson designed to brand the house. It can be found on flower boxes, doormats and the labels of preserves made on site. As ornate and bespoke as the rooms are, this is an active house, not a museum. The white room at Redcourt hosts daily meditation sessions. Meats are cured, cheeses aged and preserves are bottled in the purpose-built larder. The organic vegetable garden is harvested and the steps down to the wine cellar often trod. The white room – finished completely in white – is used daily for meditation. Actor Jack Thompson once gave a poetry reading at a gathering for 150 in the gardens. Despite how comfortable Garrisson and his partner are living at Redcourt, and how painful it will be to leave, he feels it is the right time to sell. 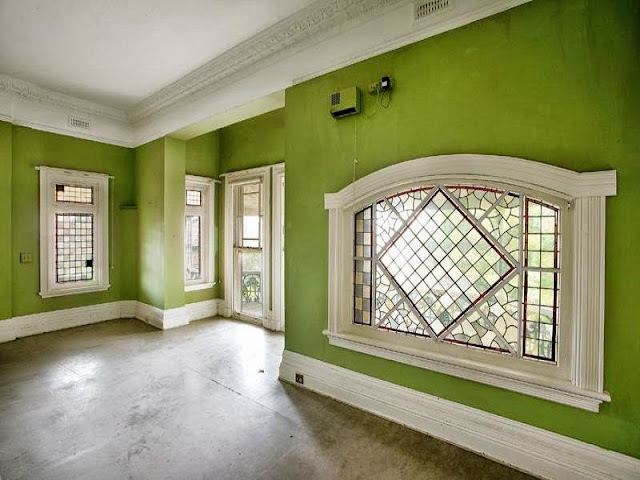 ADAM Garrisson (Oriental Pacific Group, previous owner of The Windsor Hotel and current owner of Kitchen Cat – ex Fifteen) is a publicity-shy Melbourne investor who rescues significant old buildings from the bulldozer. But don’t imagine he is a tweed-wearing National Trust zealot intent on freeze-framing architecture and the “ye olde” times in which they were built. Rather, he affects the unassuming air of a Silicon Valley software mogul (neat sneakers, hoodie and jeans) and makes big business of recycling existing buildings for modern use. He bankrolled and creatively briefed the redevelopment of Melbourne’s neo-Renaissance GPO into a thriving retail hub. He co-founded socially responsible restaurant Fifteen with celebrity chef Jamie Oliver, and is currently creating a six-star eco-resort (with Vue de Monde owner/chef Shannon Bennett) out of the Art Moderne mansion of Burnham Beeches, a 1930s estate on the edge of Victoria’s Sherbrooke Forest. Old buildings “encase the character of a civilisation,” says Garrison. Picture: Earl Carter/Vogue Living. His most recently completed project is Redcourt, the landmark Armadale, Melbourne, residence that Garrisson spent four years and untold millions rescuing from the ashes of ignominy. It was built by glass and timber merchant Edward Yencken in 1888 to the design of architect Joseph Reed, whose firm also designed the State Library of Victoria and the Royal Exhibition Building. Reed’s exuberant Queen Anne design consists of Tudor-style half timbering, turned porch posts, ornamental spindles and stained glass. The building passed through the hands of a series of eminent pastoralists, politicians and mining entrepreneurs. In 1935, the property was repurposed into a guesthouse, after which it was bought by the Ministry of Education for the residency of music students, before slipping into abject neglect and ultimate government sale in 2009. 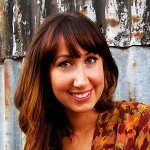 Garrisson appointed John Warwicker of London art and design collective Tomato as creative director. The pair walked through the building dozens of times before deciding on a theme. Garrisson says the idea was to achieve a “universal language” but with “different dialects” within each space. Other creative people were enlisted for different rooms. 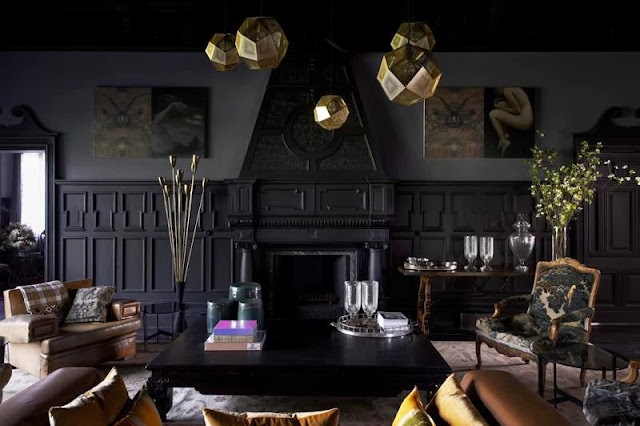 and Warwicker himself steeped the Great Hall in the visual vocab of an eccentric English manor – all dark panelling and decorative cross-pollination. he White Room, featuring a cloud-like sculpture by Naomi Troski. Picture: Earl Carter/Vogue Living. Melbourne artist Naomi Troski Naomi created a cloud-shape ceiling installation of white netting for a room Garrisson has dubbed the White Room. It’s a place for meditation – “nothing to over-stimulate, just room to reflect”. The adjacent study counterpoints the White Room’s ethereal effect with space-swallowing black walls, one of which Warwicker swamped in gilt-framed, Dutch-style still life paintings sourced from op shops and the odd auction sale. Or, translating from the truisms of Danish philosopher Kierkegaard: Life must be lived forward, but it can only be understood backward. This is an edited extract from the September-October issue of Vogue Living, out now.